IBEW 1245 retiree Chip Chadwick has always had a strong desire to help sick and injured veterans. As a military vet himself, Chadwick is deeply connected to his brothers and sisters at the Veterans Affairs (V.A.) hospital. Ever since he retired, Chadwick has been searching for a special way to give back to the servicemen and women who sacrificed so much for our country. Four years ago, Chadwick and his wife adopted a sweet All American dog named Otter, and Chadwick knew right away that Otter would make a perfect V.A. therapy dog. While some may confuse therapy dogs with service dogs, the two are actually quite distinct. Unlike service dogs, which are trained to do a specific task to assist their handler with their disability, therapy dogs don’t have one specific skill. Instead, they are trained to comfort and uplift patients who are struggling with persistent physical and mental health issues. These patients are generally unable to have or see their own pets, as they are staying in a hospital or inpatient treatment center, which makes a visit from a therapy dog extremely special and meaningful. Training a therapy dog is not something that happens in a weekend. It takes time, effort, money, patience and diligence. 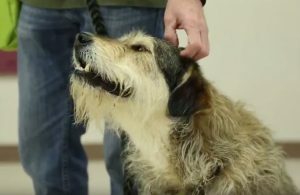 When the Chadwicks decided to train Otter as a therapy dog, their first step was to take him in for the American Kennel Club’s Canine Good Citizen test, which indicates his willingness to work with his handler and deal with situations in public. Otter passed that initial test, but progress on his training stalled for a bit. Then, last Christmas, the Chadwicks received a special gift from Santa — enrollment in the Therapy Dog & Handler class at Truckee Meadows Community College. After they graduated from that course, Chadwick and Otter had to test for registration with the Alliance of Therapy Dogs. The process involved three visits to a local skilled nursing care facility, where Otter had to demonstrate comfort in new situations, impulse control, and acceptance of different people and their appliances. He passed with flying colors. Once Otter and Chadwick completed all the requisites to join the therapy dog team, they signed up to volunteer at the local V.A. hospital in Reno, NV. That process in and of itself was also fairly labor-intensive, and involved fingerprints, a background check, orientation classes, vaccines, TB testing and more. But Chadwick was fully committed to the process, and now, he and Otter visit the V.A. every week. While Chadwick and Otter thoroughly enjoy their visits to the V.A., the pair aspires to go even further as a therapy dog team. In addition to being a therapy dog, Otter is also an esteemed canine athlete. He has titles in the dog sports of Barnhunt and Canine Nosework, and is working towards titles in Rally Obedience as well. 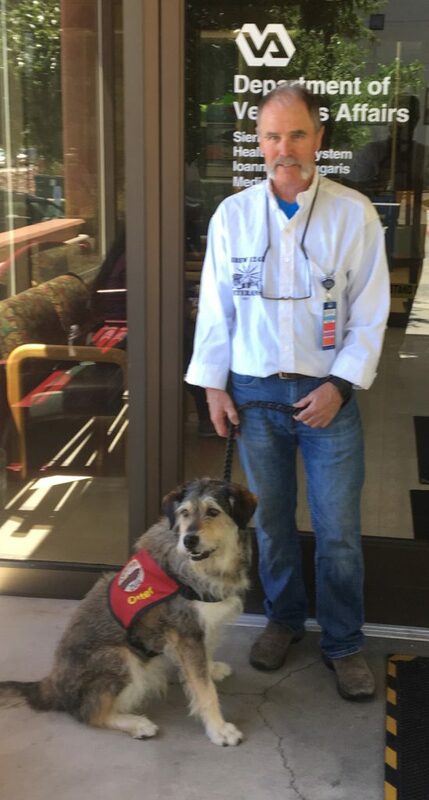 Learn more about the therapy dog program at https://www.therapydogs.com/. 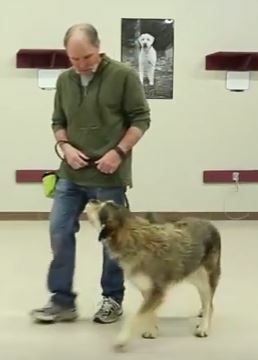 Chadwick and Otter were featured in a video produced by the TMCC Therapy Dog certificate program. Watch it below.